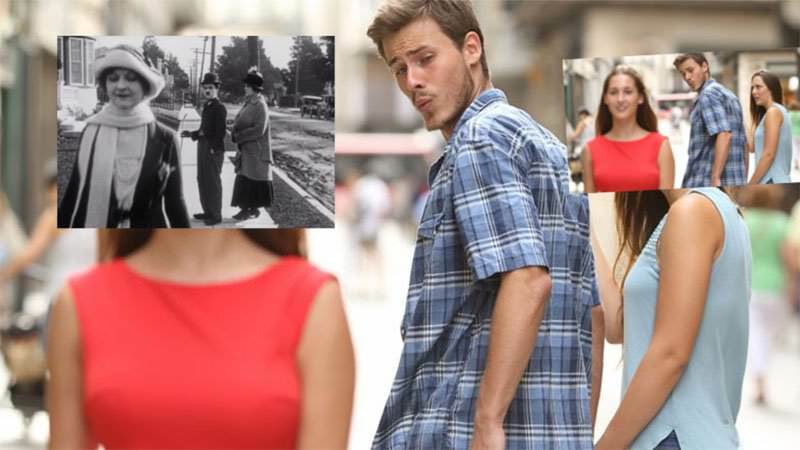 For those who don’t already know, “Distracted Boyfriend,” also known as “Man Looking at Other Woman,” is basically a stock photo series in which a man looks at another woman walking by while his romantic partner looks on disapprovingly. 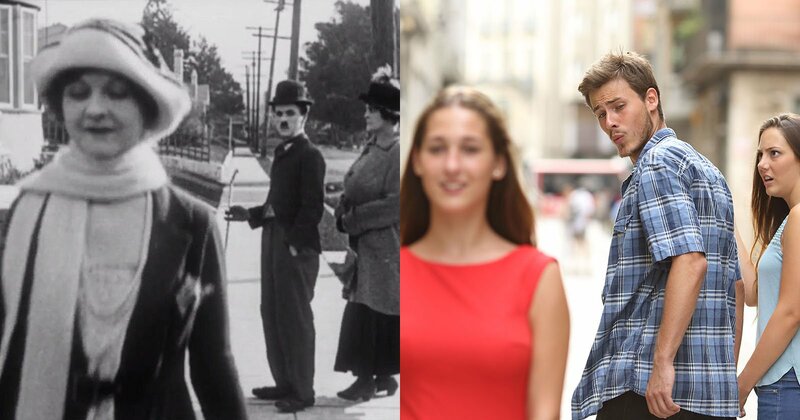 However, Charlie Chaplin may have created the meme long before the internet noticed. Continue reading to see where the still frame was captured from in Chaplin’s 1922 silent film “Pay Day”. “One of the biggest memes of 2017 was the ubiquitous ‘distracted boyfriend’ photo that took over the Internet. The photo may have peaked in late 2017, but it appears that English actor and filmmaker Charlie Chaplin actually shot the very first ‘distracted boyfriend’ nearly 100 years ago,” reports Peta Pixel.